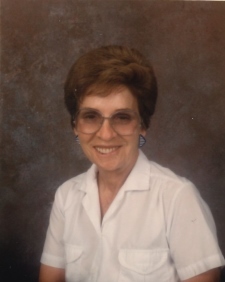 Helen Estelle (Benton) Grob passed peacefully on March 28th, 2019 surrounded in her last days by her loving family. Born the 3rd child of William Orlando Benton and Minnie Hazel (Durston) Benton in Independence, Oregon on June 17, 1924. Shortly thereafter her birth, the family returned to the Flathead Valley where she spent the remainder of her life. Helen was preceded in death by her father and mother, two brothers, Clifford Benton, Frederick Benton, and one sister, Phyllis Harding; husband Chris E. Grob and three children, Richard Grob, Evelyn Grob, and Christine Grob, and great grandson, Jace Woldstad. In her spare time, she was very creative. She was passionate about drawing, painting, doll making, cake decorating, sewing clothing for her children and costume making. She enjoyed fishing with her sister Hazel and friend Mary Heino. She often was found huckleberry picking, cross country skiing, and gardening. Surrounding herself with her many grandchildren brought her the greatest joy. Helen found her strength and solace in her relationship with God which graced her with the ability to accomplish so much in such challenging circumstances. In her elder years when getting out was difficult, she found comfort in the words of Dr. Harold E. Salem and studied her Bible faithfully. Her commitment to God and dedication to her family is the legacy she left behind. She leaves this legacy to her children Sherry Grob of Bishop, CA, Sheila Grob, Lewis Grob, Douglas Grob, Patricia Galloway all of Kalispell, Michelle Daniels of Missoula, niece Phyllis Leonard and nephew David Grob. Dear to her heart were her 14 grand children, 22 great-grandchildren, and many great great-grandchildren. She is also survived by her sister Hazel Harness. A memorial service in celebration of her life will be held 1pm Tuesday, April 9 at Johnson-Gloschat Funeral Home, 525 S. Main St., Kalispell. A viewing will be held Monday, April 8 from 5pm to 7pm.